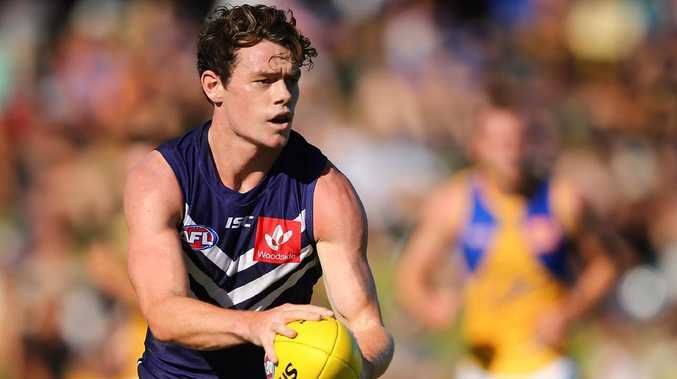 LACHIE Neale's trade wish has been granted, with the star ball magnet to play for the Brisbane Lions in 2019. That Pick 19 came via a pick swap between the Lions and Gold Coast minutes before the Neale deal. It allowed the Lions to get Neale in the door before considering a separate trade for Dayne Beams to avoid any complications. According to Champion Data, Neale ranks No. 1 in the AFL for contested possessions and clearances in home and away games since 2016, while only Tom Mitchell has won more disposals than him. Neale told Ross Lyon the day before the 2018 grand final that he wanted to be traded to Brisbane, but the Dockers remained resolute in their desire to keep hold of the contracted reigning best and fairest winner. He then discussed his situation with new head of footy Peter Bell and it was only when the Lions could produce two top 20 picks for him the deal became a reality. Lions general manager of football David Noble said Neale's addition was fantastic and would help the club continue to climb up the ladder. 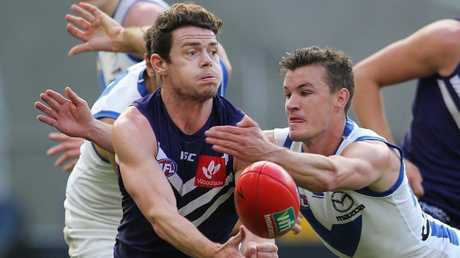 Lachie Neale won the Dockers’ 2018 best and fairest. "Lachie is a perfect fit for what we are targeting this trade period - an elite midfielder and in the 23-26-year-old age bracket," Noble said. "Lachie is a quality person and highly respected player who will significantly strengthen our midfield. "We are excited that Lachie and his partner Jules would choose our Club and believe this is a reflection of our continual improvement and growth in the competition. "We expect Lachie to be a positive influence on our culture as we collectively move forward and strive for success. "It is also important for us to acknowledge and thank Fremantle for working with us to get this deal done." Get the ultimate AFL experience on your phone with the new FOX FOOTY App. Download it NOW for FREE on iOS and Android!